One of the few silver linings to the Oakland Raiders disastrous 2018 NFL season is that they will have some quality picks in the upcoming drafts. However, it appears Derek Carr is not willing to sacrifice wins in order to do so. Carr’s comments obviously provide mixed feelings. On one hand, it is encouraging to see his competitive nature has not wavered in the midst of this abysmal 2018 campaign. However, Oakland has poached their roster in an attempt to compile quality draft picks. They might as well get as much bang for their buck as they can when the time comes. 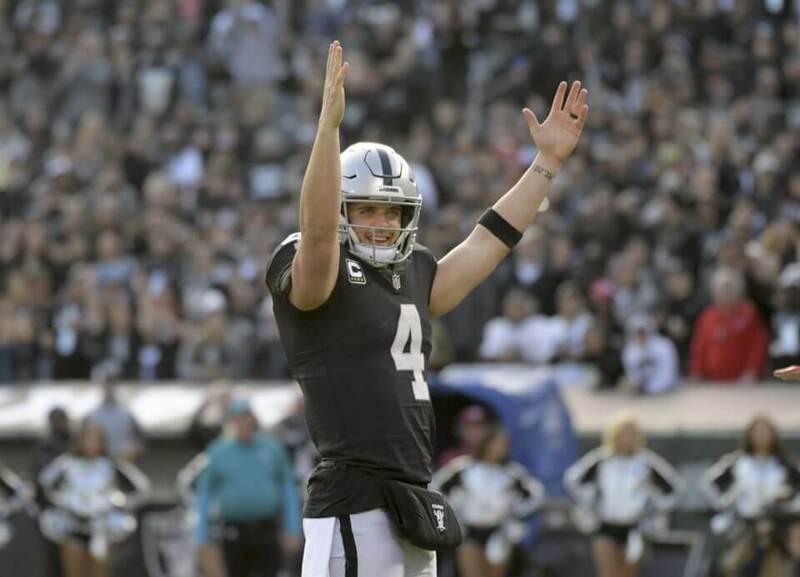 While Carr did a solid job of solidifying that notion with a victory over the equally-lowly Arizona Cardinals in Week 11, they were eventually eliminated from playoff contention against the Kansas City Chiefs two weeks later. With four games left to play, Carr still has plenty of time to ensure that his team does not end up with the No. 1 pick. It is difficult to knock his efforts considering all that has transpired this season. However, head coach Jon Gruden has essentially pitted the Raiders’ entire future on their upcoming draft picks. Although fans may be rooting for Carr’s individual success, there is no doubt that the team is now in full tank mode.